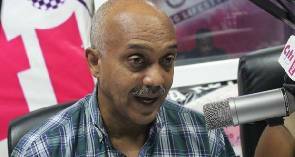 Anti-corruption campaigner and a member of Occupy Ghana, Sydney Casely-Hayford, has described recent claims made by the outgoing moderator of the Presbyterian Church of Ghana, that he rejected some bribes from politicians, as a waste of the Ghanaian public’s time. “I don’t see the purpose of what Rev. Martey has done. If he didn’t take the money then there’s no point talking about it. 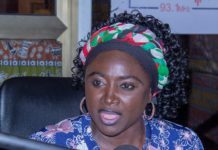 If he did take the money, then he should tell us who he took it from so that we can make our own decisions as to whether it’s a good thing or bad thing in society,” Casely-Hayford said on Citi FM’s news analysis programme, The Big Issue. Sydney Casely-Hayford likened Professor Martey’s rant to similar outbursts by Former President Jerry John Rawlings, who has, on several occasions publicly criticised government officials. ed was unfortunate and could lead to unnecessary panic. 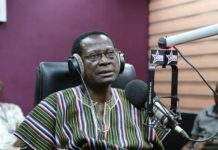 The outspoken Moderator revealed last Tuesday that he rejected several attempts by politicians to buy his conscience with money and keep him from criticizing the government.